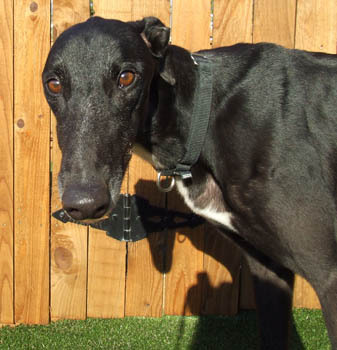 Chuck Norris, aka WW's Chucknorris, is a 4-year-old black male born June 4, 2008. His sire is Trent Lee and his dam is WW's Royal Rose. 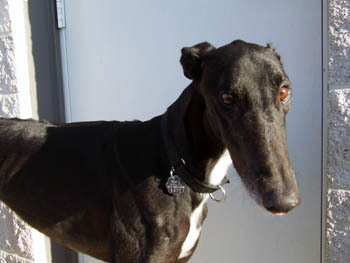 Chuck Norris has 93 races to his credit on Greyhound-data.com, starting on December 19, 2009 at Bluff's Run, IA. 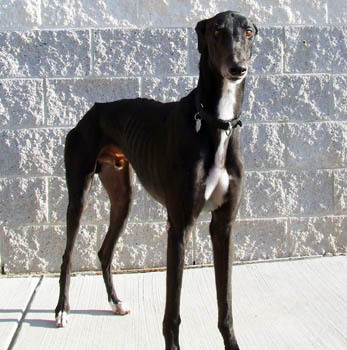 He finished his career at Gulf Greyhound Park on May 25, 2012. He retired due to a cracked hock which was splinted until healed. Chuck is littermate to GALT's Chan, who was adopted earlier this year! Chuck should not live with cats.